THE EDDIE ARGOS RESOURCE: Latitude Postcard. I've been making Postcards as Merchandise for the last couple of Everybody Was In The French Resistance...Now shows. For reasons I go into here. I'm playing Latitude this weekend. In the Poetry Arena. I think I'm on at about Midnight on Friday. 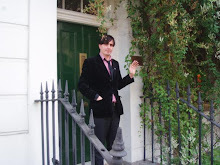 Im playing re-workings of Art Brut and EWITFR...N songs with Ian on acoustic guitar and Dyan on the Piano. I cant wait. Anyhow I've also decided to make postcards for all the festivals I'm playing at this summer. 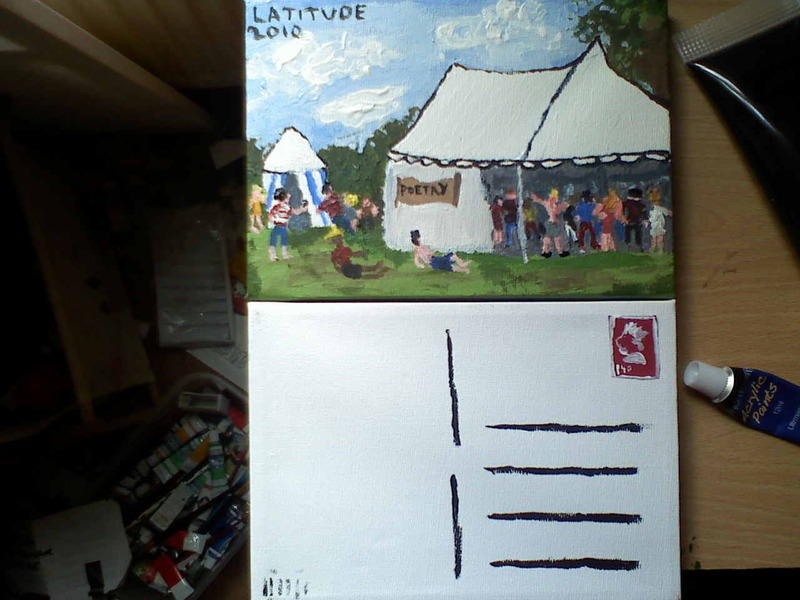 This is what the one for Latitude looks like. I'm making three of them. They come as a set on two pieces of canvas (5x7") and are painted in acrylic. I fill in the blank part of the postcard with what happened that day. They are £35 for the set of two. I really like it, I think it's the best set yet. lovely set of colourful postcards. Good work! Wish I was going, but am up to other fun stuff instead. Hope you have a really good time.